Hello! I'm posting today for Secret Garden Crafts and sharing a card I made using lots of their fabulous flowers. During my recent trip to visit our daughter in Denver, I was able to stop at a local scrapbook store where I found an adorable sheet from ADORNit! 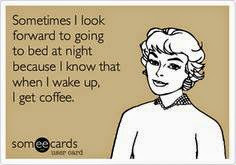 that had several sweet little coffee-related images. 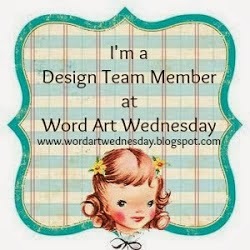 I used a couple of those images to create some cards yesterday for the Winter Coffee Blog Hop. 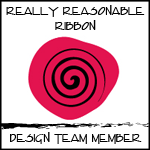 This is one of the cards I created. 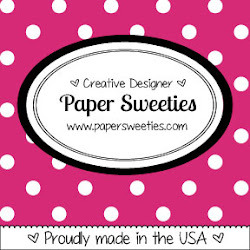 Secret Garden Crafts is one of the sponsors for the Winter Coffee Blog Hop. But if you don't happen to win, you can still get in on this FABULOUS SPECIAL...FREE SHIPPING on all orders $20+ so it's a great time to stock up on all these GORGEOUS flowers. I used some Red and some Ivory Wild Roses as well as several Red Sweetheart Blossoms and some tiny Green Mulberry Leaves and a White Two-Toned Leaf, and I tucked in several Flower Stamens as well. There are always SO many lovely flowers to help adorn your cards and projects. 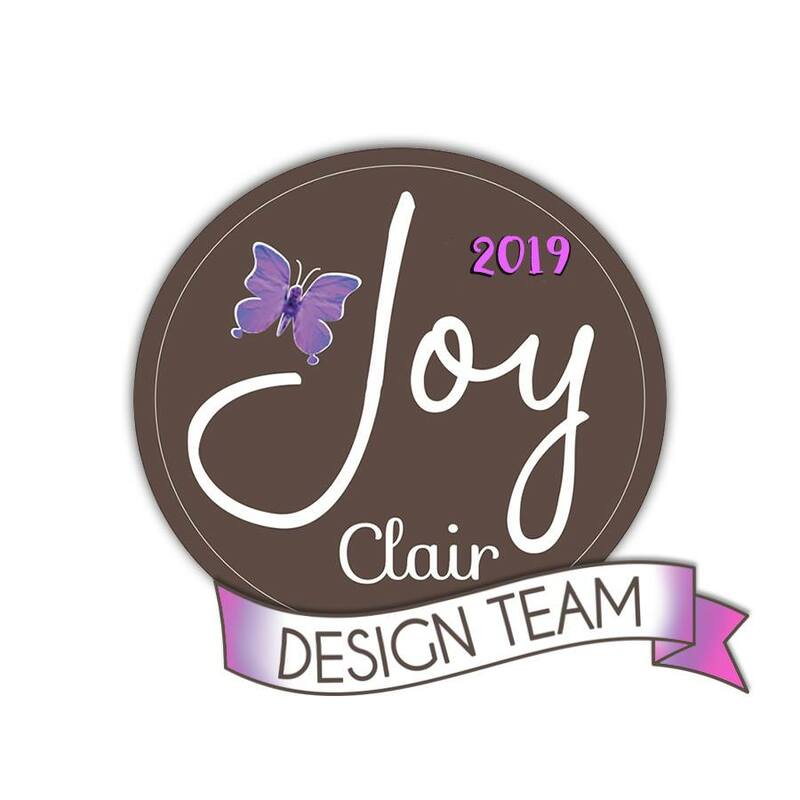 There's always lots of inspiration on the Secret Garden Crafts Blog, and a fun challenge on their Facebook Page (Play Creative). We hope that you'll stop by often, and that you will take advantage of this fabulous sale. Thanks for visiting me today! 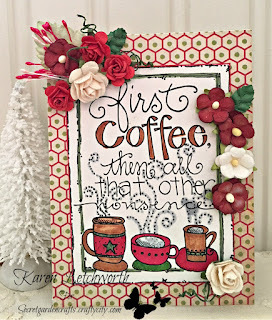 Winter Coffee-Loving Cardmakers Blog Hop - Anything Coffee, Tea, or Cocoa Related - This is an ADORNit! coffee journalling card. 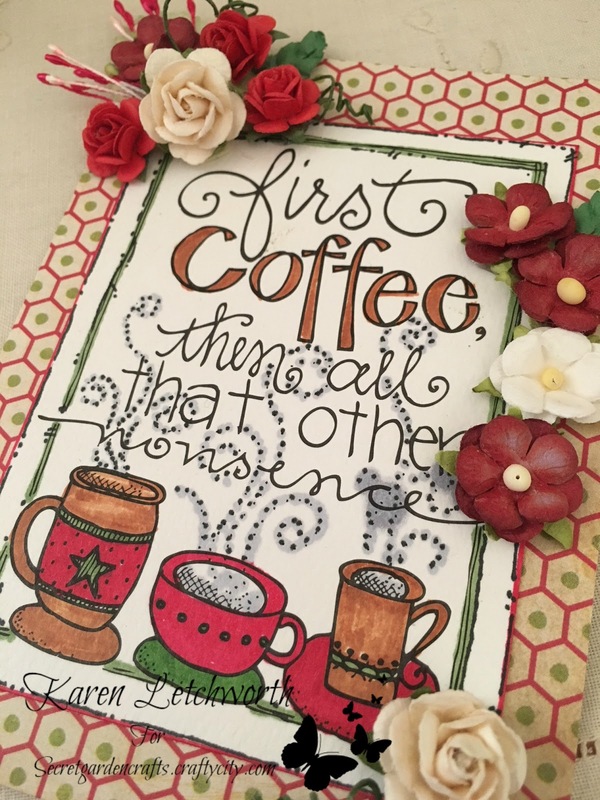 Wow, Karen - you've been busy creating LOTS of beautiful coffee themed Christmas cards in your lovely signature style! So many pretty creations! Great work on this beauty. 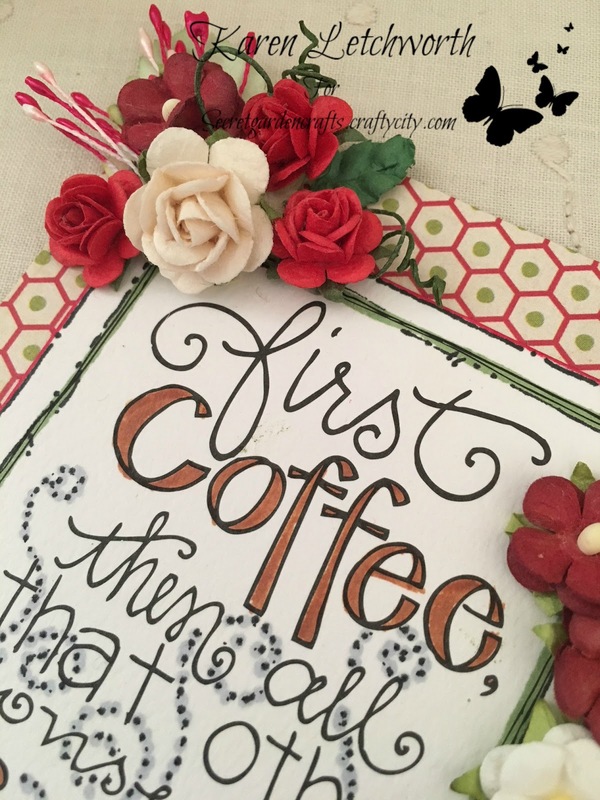 Love the flowers you added to the coffee themed card. Gorgeous. Love all the pretty blooms. Another beautiful card! I love this coffee theme. Forgot to add, Thanks for joining the Double D, "Red/White" Challenge! Such a pretty vintage card-I love those roses! Love the flowers you used. Love the way the steam looks. LOVE this! And so true! The addition of perfect flowers enhanced the beauty of this gorgeous card! sweet card and sentiment. I like the flowers. What a wonderful card - love that sentiment!! A wonderfull card you made with those Roses. The handlettering card is lovely. LOVE that sentiment.. I wonder if I have that on the sheet I have... beautiful way to use it! Love all of those beautiful flowers too! WOW Lady ... you are on a roll! 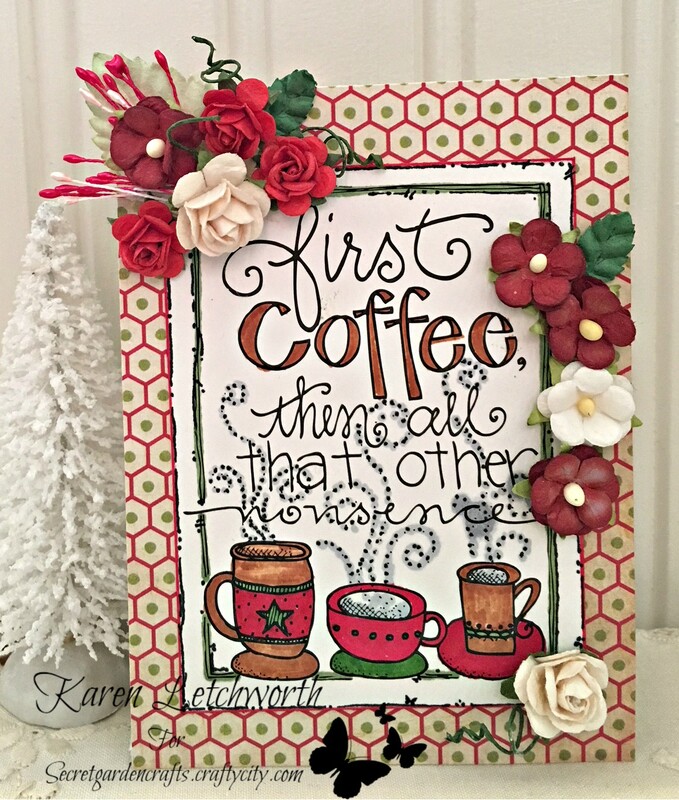 Another gorgeous card creation! Thanks so much for joining in the fun at our Double D ‘Red & White with optional touch of Green’ challenge! We hope you’ll come back often.